Your wedding should be the most memorable day of your life. Every aspect to be enjoyed and treasured as two lives are transformed into one. Draping Excellence is is also in the transformation business. We use lights, fabric, color and illusion as the tools of our magic. At the end of the day we take ordinary rooms and create extraordinary wedding venues—saving significant rands over hotel meeting room rentals and expensive wedding facilities. When it comes to planning the perfect wedding, the magic is in the details. That’s why couples repeatedly turn to Draping Excellence to ensure that their special day is both memorable and worry-free. 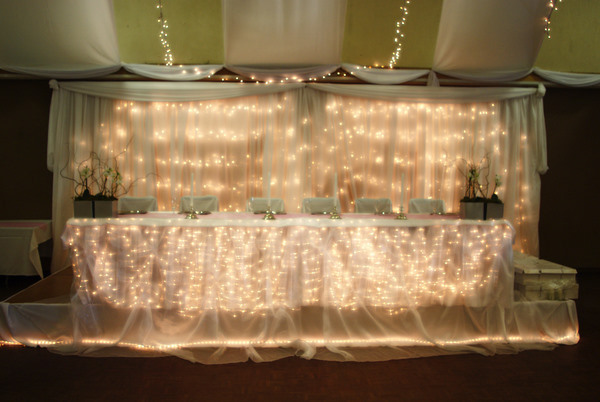 And on your wedding day, the lights and drapes should be your last thought—because they’re always our first concern. Let us transform your affordable but ordinary room into something spectacular.